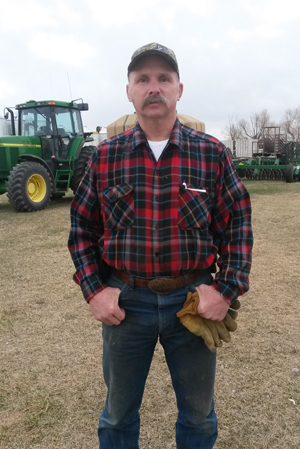 For Mitch Konen, peace of mind means knowing exactly where every dollar is spent in his 1,500-acre farm operation near Fairfield, Montana, and how it’s impacting his bottom line. Thanks to his Trimble Ag Software Farmer Pro subscription, Konen has full visibility over his farm finances and knows exactly what his break-even price is when harvest time rolls around. Trimble Ag Software garnered attention in recent months as more and more farmers leverage this online, mobile, and desktop software platform to turn farm data into actionable reports they can use on a daily, and even hourly basis to make quick decisions and adjustments that save time and drive farm profits. With the Farmer Fit and Farmer Pro ag software software bundle, farmers get access to Trimble’s integrated desktop mapping, field record-keeping, and simple cash accounting. Built on the foundation of Farm Works Software®, which Trimble acquired in 2009, the desktop platform is turning farm data into profitable decisions for customers around the world. Track Cost Per Unit of Production for each field to get real-time knowledge about expenses and break-even calculations throughout the growing season. “Come tax season I have everything on one platform, all I have to do is print off an income statement and every detail goes with it. I can also print off a depreciation schedule that has all the equipment purchases,” says Konen. Konen is also starting to leverage Trimble Ag Mobile and Crop Health Imagery.